Did the EU in/out referendum on 23 June pronounce the last word on whether the UK remains in the EU? There are at least two powerful arguments for saying it did not. And they add up to a powerful policy for Labour on the Brexit issue. The philosopher and commentator Professor A C Grayling states forcefully the legal and constitutional case for parliament to reverse the verdict of the (advisory only) EU referendum, if in the opinion of a majority of MPs that is the right thing to do in the country’s best interests. An advisory referendum can’t in constitutional theory bind a sovereign parliament to act in a way that is not in accordance with its members’ own best judgements. This is clearly helpful if the calamity of Brexit is even now to be averted. But however strong the professor’s legal argument may be, and it is very strong indeed, I can see many MPs and peers being afraid to act on it because on its own it will be seen, and misrepresented, as an unacceptably arrogant act by the elitist establishment claiming to know better than the millions of people who voted to Leave – a million or so more than those who voted to Remain – and a flagrant breach of party leaders’ promises to respect the result of the referendum. I believe however that it can also (not instead) be justified on other and much more persuasive grounds as a necessary opportunity for the British people to give their opinion, at the appropriate moment and in the most appropriate way, on whether the terms of our exit from the EU and above all whether the terms of our future relationship with the EU, when these are sufficiently clear and known, are acceptable or not. It would have to be made clear that if these terms are rejected by popular vote, the UK will remain a member of the EU on the same terms as before but able to seek changes and reforms from within. If the terms were to be accepted by popular vote, parliament could be expected (but still not constitutionally obliged) to go ahead and approve them, and the UK would leave the EU on those terms. It could be properly stressed that this would not be a case of “a second referendum” held in the hope that the electorate would simply change its mind. The 23 June referendum result will have been ‘respected’ by the discussion with our EU partners of the terms of Brexit and of future relations with the EU. The question put to the electorate now would be quite different: “These are the best terms we can hope to get: do you wish to accept them, yes or no?” Asking the people to decide whether or not to approve the terms can hardly be called undemocratic, nor a betrayal of the Brexiteer voters in June. Finally, the choice would almost certainly have to be made in a general election, not in a second referendum. For this to work, there would need to be a choice between significant parties committed to either acceptance or rejection of the terms. If the terms are sufficiently harsh (imposed by the rest of the EU in order to discourage other EU countries from following the British example), it will be the plain duty of Labour and above all of the governing Conservative party to recommend rejection of the terms. UKIP and possibly a breakaway group of Brexiteers from the Tory party would presumably urge acceptance of almost any terms. The Lib Dems have already come out loud and clear in favour of allowing Parliament to decide whether to proceed with Brexit or not, making it clear that they strongly favour Remaining. Good for them. 1. Eliciting through informal discussions with other EU governments the clearest possible indication of the best terms we can get for leaving the EU and for our post-Brexit relationship with it, including single market access, bank passporting, and freedom of movement versus control of EU immigration numbers. 2. Submitting those terms to the UK electorate in a general election. 3. In the light of the election result, the onus for a final decision to rest with Parliament. 4. No trigger of Article 50 until these preliminary procedures have been completed. The power to decide whether and if so when to invoke Article 50 of the Lisbon Treaty rests exclusively in the hands of Mrs May, the prime minister, and no-one else’s, apart arguably from parliament. It is Britain’s only bargaining chip. It must not be carelessly or prematurely thrown away. 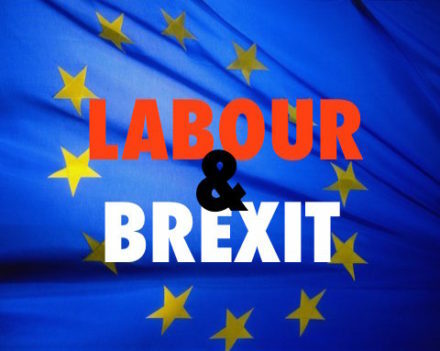 Labour’s position in the decisive general election would have to depend on the nature and degree of harshness of the terms on offer; but it would be consistent with Labour’s almost unanimous opposition to Brexit in the referendum campaign to forecast that Labour would be most unlikely to recommend acceptance of even tolerably favourable terms, still less the harsh terms that seem likelier. Here then is a coherent, positive, democratic policy for Labour on the most difficult of issues for the country in the coming months and years.